Hi its the last Friday in March. Do you know what this means??? Scrapfest Kitchner is just around the corner.!!! One Crazy stamper will be there and I hope you will be to! 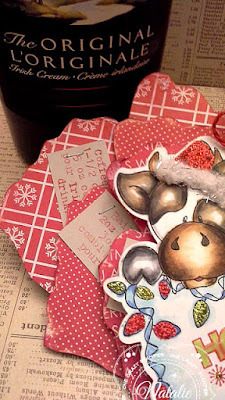 Charlie Christmas Tag found here! HO HO HO found here! 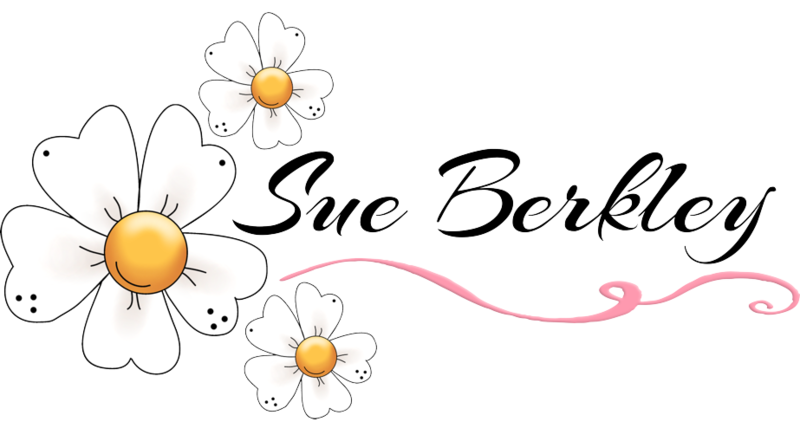 Now I have a fun and yummy collection of recipes waiting for next Christmas! and some fun Christmas pattern papers too! High Hopes Rubber Stamps of your choice. Card Kits come with the two stamps shown here, plus all of the cut pieces, card bases and envelopes to make four identical cards. 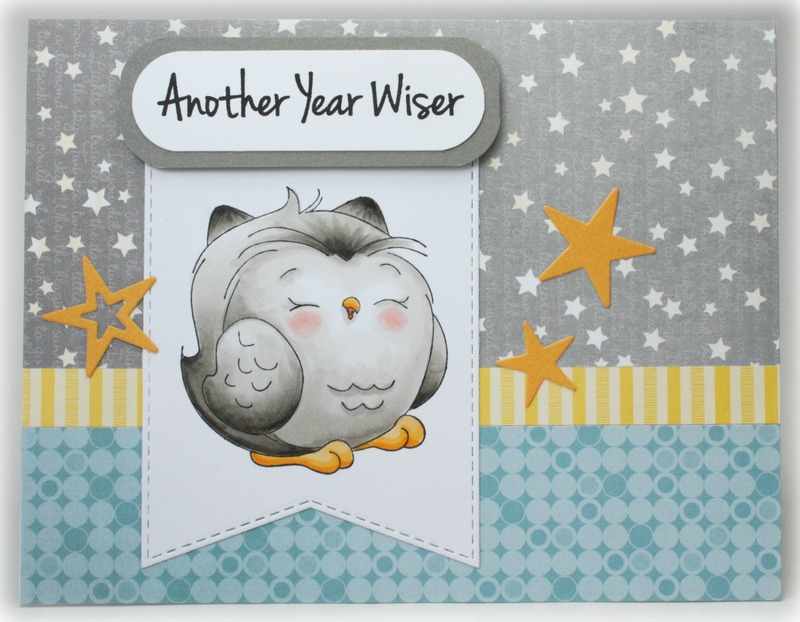 A full colour instruction sheet is included with the card, along with Copic marker suggestions and all of the cutting measurements for you to make more cards. Kits are $22 - there are a limited number available, and *if* there are any leftover after Scrapfest, you'll see them in the OCS store. I can't believe it's the last Wednesday in March already! I have one more Anything Goes post to share with you. 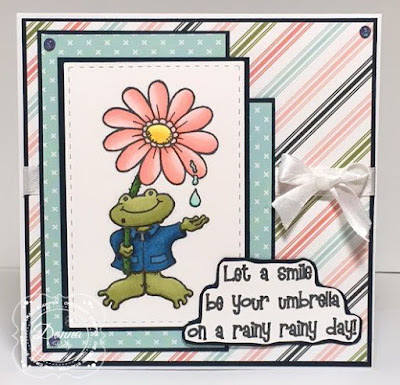 My card features a fun stamp from High Hopes Rubber Stamps called Raindrops Ribbit and I paired him up with the Rainy Rainy Day sentiment. After colouring my stamp with alcohol markers I cut him out using a stitched rectangle die and mounted him on some navy blue cardstock. 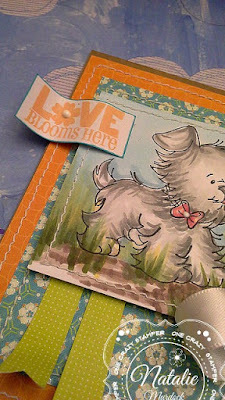 I chose my patterned paper from Carta Bella and voila! 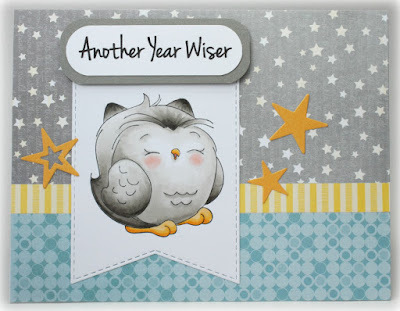 The sentiment is stamped, trimmed and mounted on matching navy blue cardstock. It is hard to see in the photo but I added some Clear Spectrum Sparkle pen to the flower and Silver Wink of Stella to the zipper pull on his jacket. 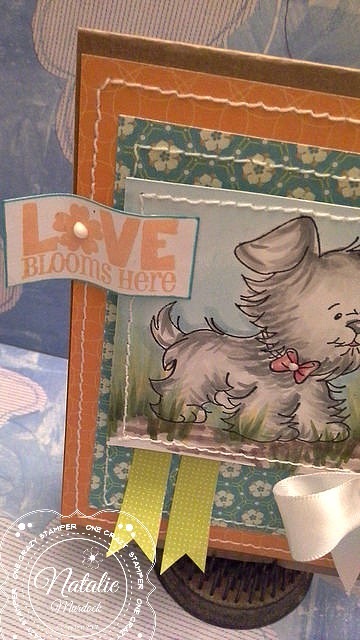 Some ribbon and gumdrops finish off my card. Welcome back OCS fans and thanks for stopping by. Now that spring has arrived, we are getting some rain, that will wash the remaining snow away. 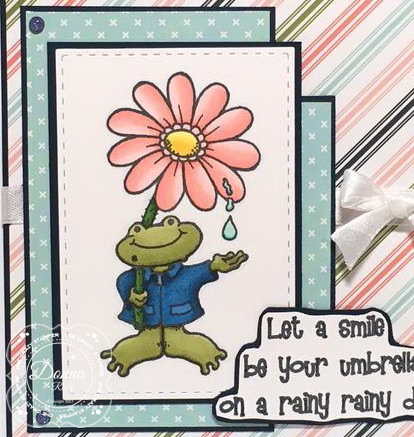 For my card today, which is CAS, I have used adorable Soccer Star stamp from High Hopes Stamps Spring 2016 Collection. Have you seen all the new products that have been arriving at OCS lately? Don't forget to make a shopping list. 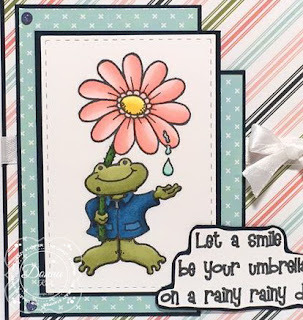 Make sure you come back on Saturday, April 1st to check out our new challenge featuring a new release from High Hopes Rubber Stamps. Welcome back here and thank you for checking on what I am creating today for the challenge here at One Crazy Stamper. 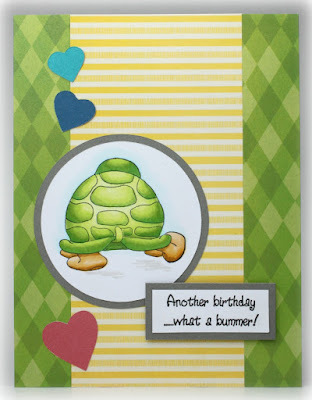 My cute card was pretty fun, adding some balloons and glossy accents to the give some shine. 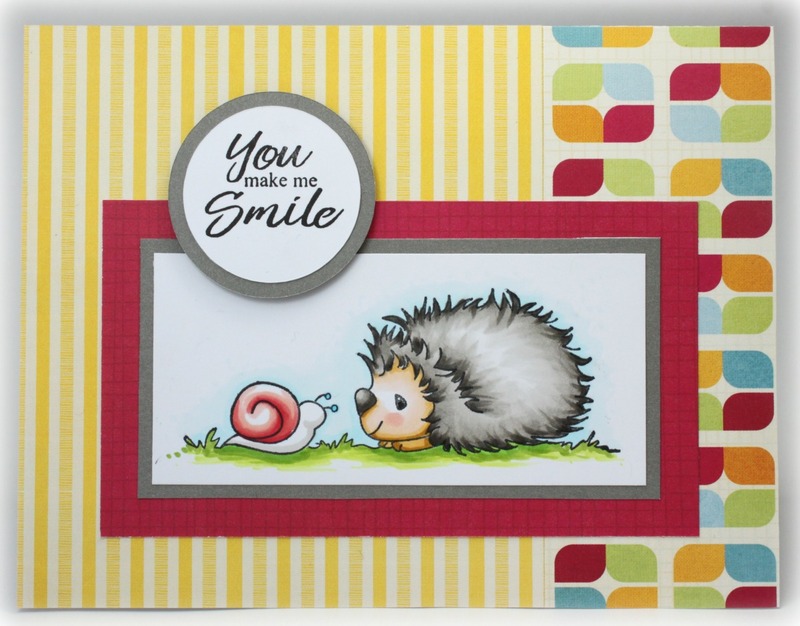 Hope you can play along with us, and remember Lora has wonderful supplies along with this cute stamp. Till next time, happy creating. It''s Friday..... It's Friday......It's Friday!!!!! Sentiment Set 1 found here! of place so I stuck it under a flower petal on an angle. The flowers have a small button for the center that was hot glued into place. 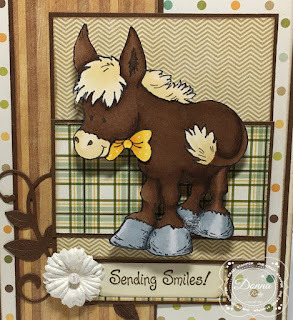 My post today features "Brayden" from High Hopes Rubber Stamps. I like to have a few cards in my stash to be able to send someone who needs a pick me up. 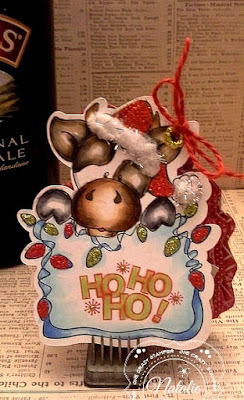 After colouring my stamp with alcohol markers I fussy cut him and used a Tuxedo Black marker to go around the edges. 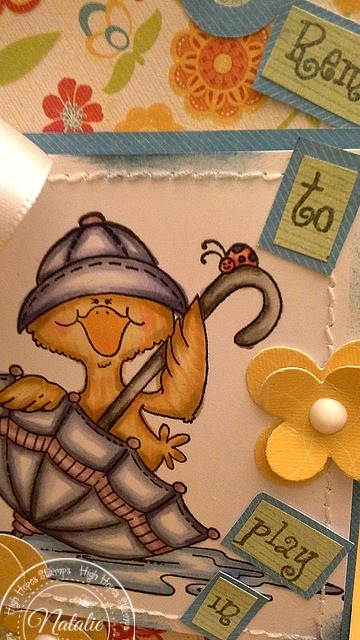 Some 3D foam pop dots help him stand off the front of the card. I put together some patterned paper from an older Echo Park collection and voila. 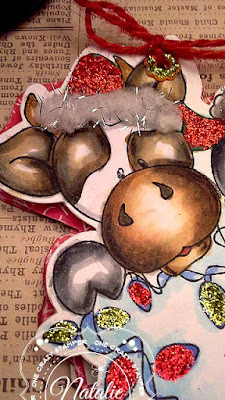 His bow tie was stamped, coloured and fussy cut - I added some white dots but it is hard to see in the photo. 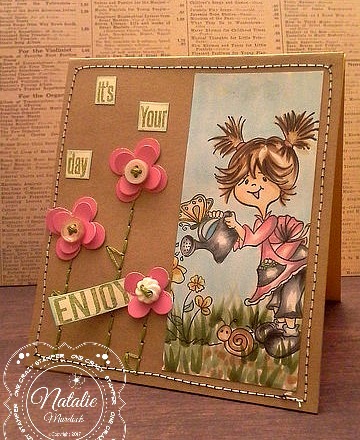 A flower with some Stickles in the middle for a bit of bling, gumdrops and a vine die cut finish off my card. It is now official -- Spring has arrived. We just need to see if mother nature will co-operate and give us some nice spring weather. 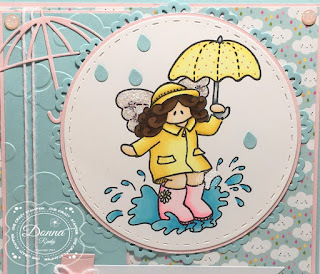 For my post today, I have used the adorable Julie's Flight stamp from High Hopes Rubber Stamps. Do join us for this month's challenge which is "Anything Goes". To see all the new products that are arriving daily, check out Lora's OCS store. 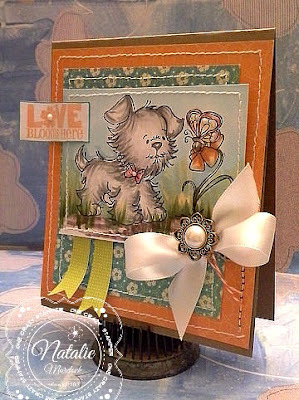 Welcome back again and so pleased to share you my card for our One Crazy Stamper Challenge. Let's Play Anything Goes. 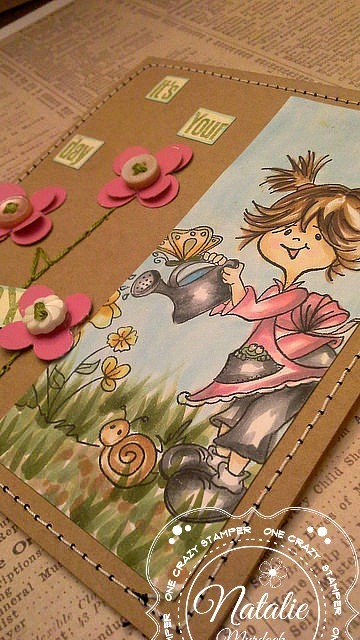 I love way Vellum looks on a card, and I stamped my Gladiolus on the front and colored using the Copic Markers. I stamped the sentiment on the white card stock under. I added the ribbon, and some sequins. 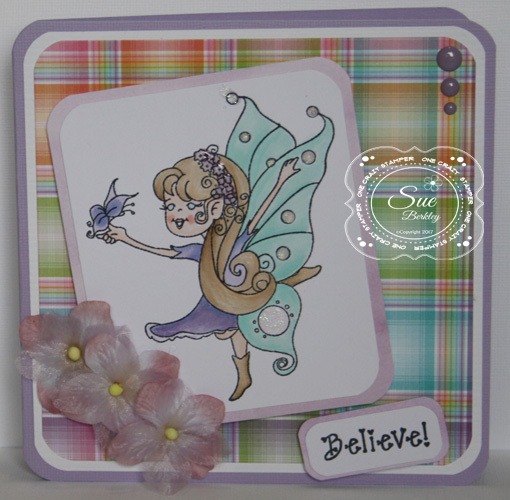 I hope you have time to get creative and share your project with us here at One Crazy Stamper. Till next time. Happy Crafting. Happy Friday and Happy Winter too! it feels like we are back to Winter Weather. 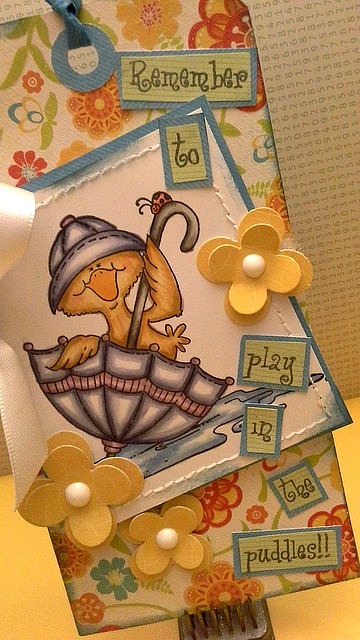 So today I made this card in hopes of some spring time fun. Sunny days and signs of spring.........Please!!!! pattern papers along with a button and bow. Banner flags were hand cut and sewing stitches for some extra details. I hope you are enjoying our Anything Goes month here at OCS. 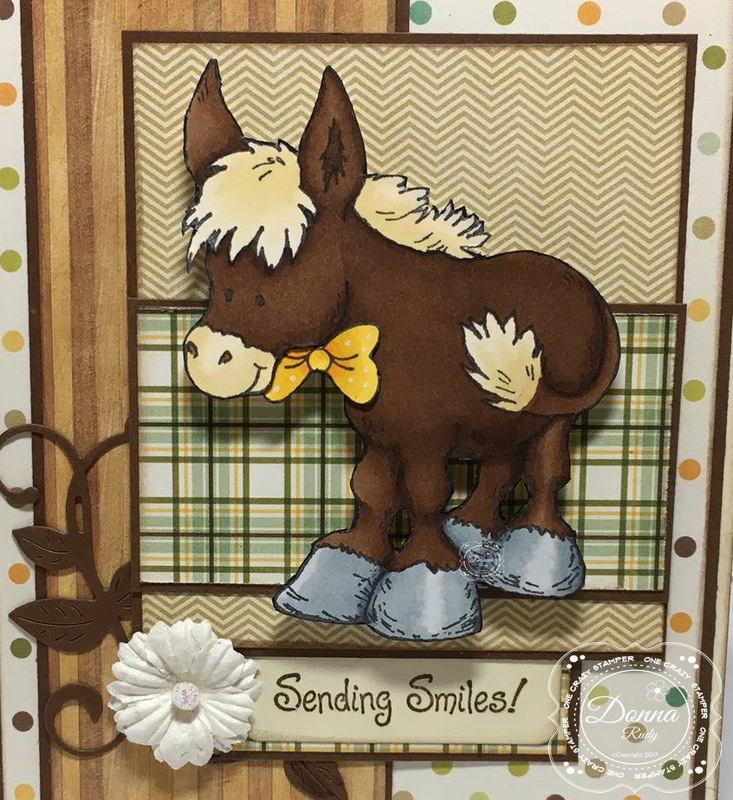 It has been fun to see all of the different stamps High Hopes has to offer! My post today features "Mary Angel" and the "Springtime Joy" sentiment. I don't know about you but when I was a kid one of the best parts of Spring was the puddles! There was nothing better then grabbing your favourite pair of rubber boots - or not - and going out and playing in the puddles. After colouring my stamp with alcohol markers I cut it out using a stitching mark and piercing marks die. I also cut out a doily die to place behind it to add a little "frill". I cut and double matted my patterned paper from Doodlebug and added some matching cardstock after running it through a cloud embossing folder. Some Stickles were added to Mary's wings and I added some matching pink polka dot so to the umbrella with a marker. 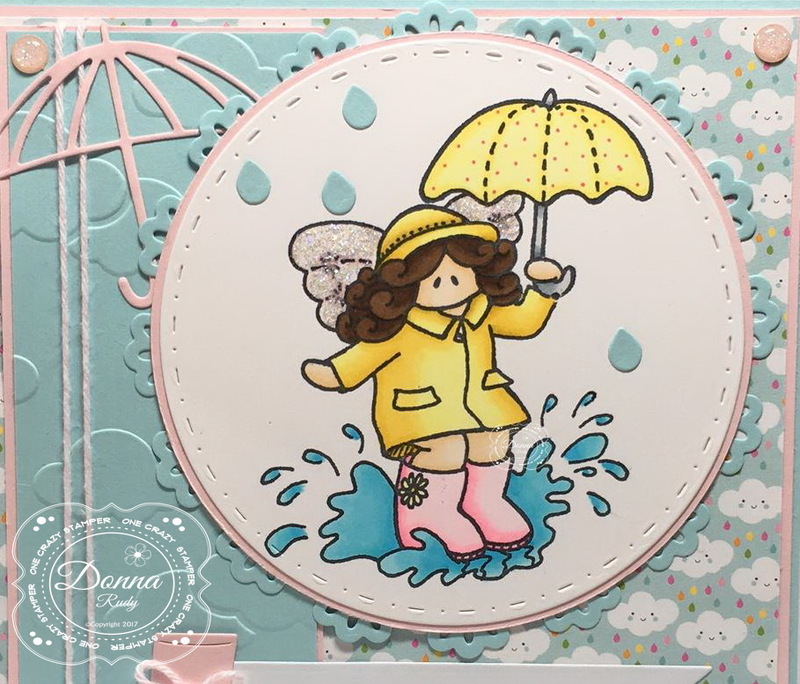 I had a fun Spring themed die set I used to cut out my rubber boot and umbrella. Some matching twine and some sparkly gumdrops finish off my card. It seems that "Old Man Winter" isn't done with winter yet, as he has decided to bring a wintery blast of cold air, snow and more snow as well as being windy our way. Oh well, there is not much we can do but have some creative time. I coloured up these sweet owls using Spectrum Noir blendable pencils. I laced some pink and white twine through the holes on the die cut. 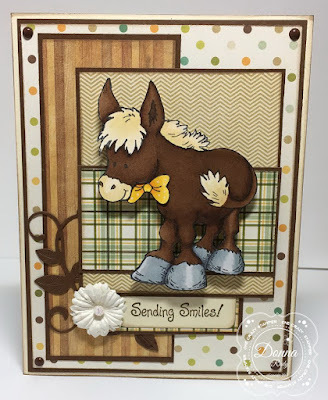 There is still plenty of time to enter this month's challenge "Anything Goes" for a chance to win 2 unmounted High Hopes stamps of your choice. For any supplies that you might want or need, do check out Lora's OCS store. Some amazing new products are arriving on daily basis. Don't forget to book a date to come and visit OCS and High Hopes Stamps at Scrapfest in Kitchener, this coming April. Welcome and so happy you have stopped. I have another card to share with you for the One Crazy Stamper Challenge. Let's Play Anything Goes. 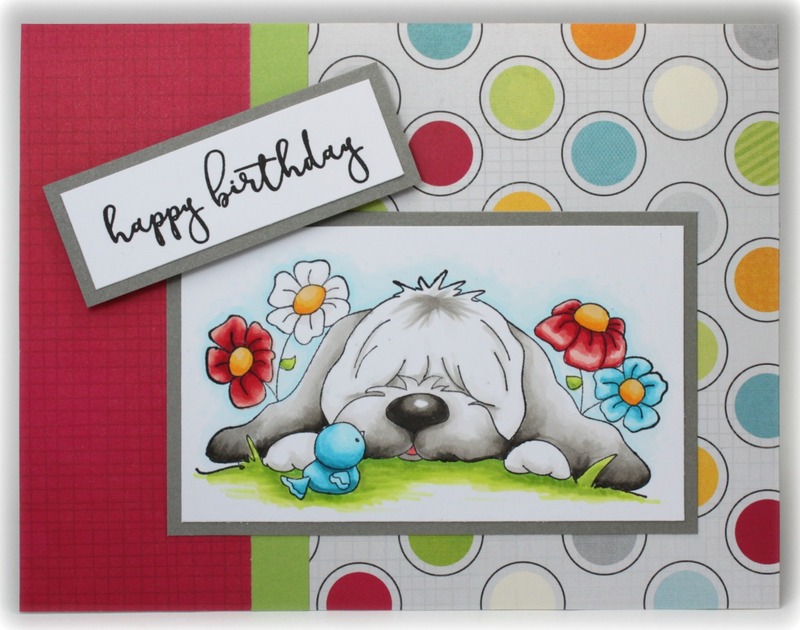 I hope you have some fun coloring or creating a card/project and add it to the challenge. We have great prizes and Lora has wonderful stock in her store as well. Till next time, have a creative day! Cheers! 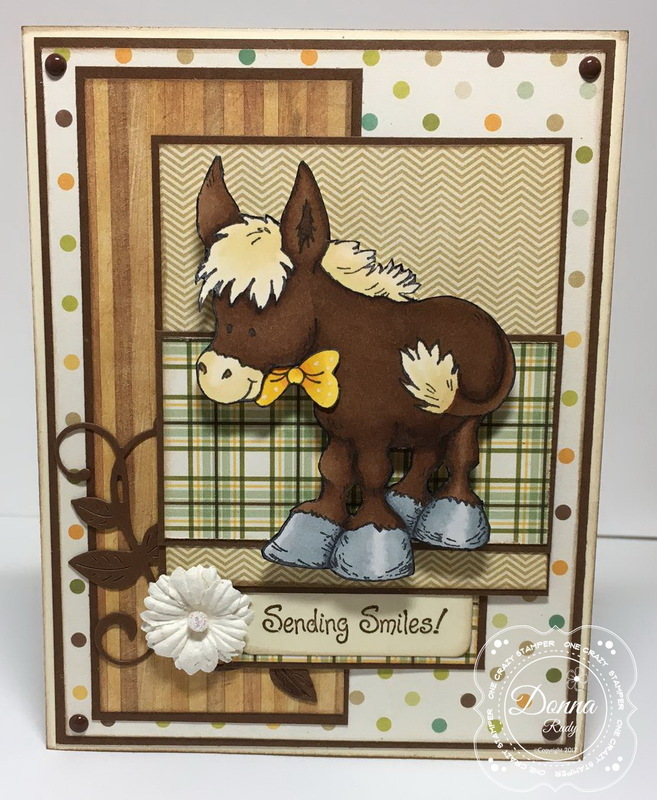 Sharon Cameron our Guest Designer for this month is back with another card using the adorable Bunny Stacks stamp from High Hopes Rubber Stamps. Here is my second card as a Guest Designer at One Crazy Stamper this month. This card was created using High Hopes Stamps Easter Bunny Stacks (add link) rubber stamp. I had a lot of fun coloring this cute stamp with my PrismaColor Markers (and a couple of Copics). 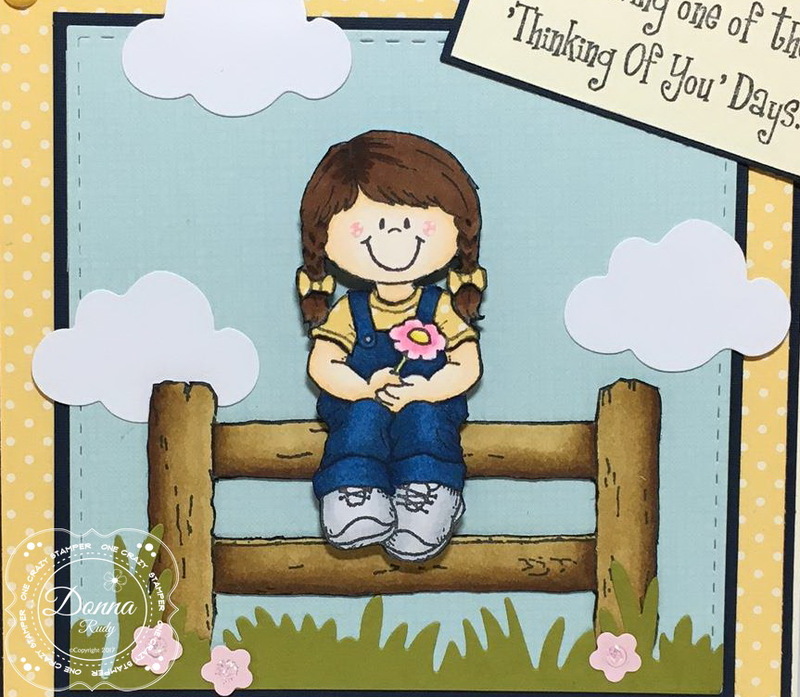 The pink and yellow gingham designer paper is from the K&Company Best Of Brenda Walton paper pad and the cardstock is Recollections Pink Buttons paper pack and Citrus Blend paper pack. I finished it off with some pink ribbon from my stash and a few pink sequins. I hope you have enjoyed what I created with this fabulous stamp. 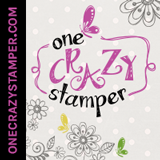 Take a moment to pop on over to the One Crazy Stamper blog and check out all the other wonderful creations. 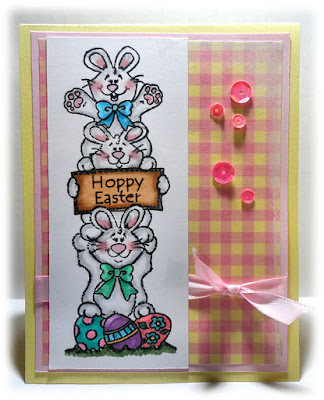 Labels: Easter Bunny Stack, Guest Designer. Play in the puddles found here! 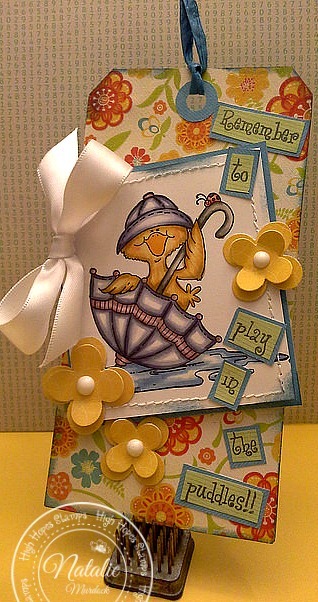 Rainy Day Ducky found here! with some blue card stock to help the words pop. Some pretty flowers and floral background paper also. 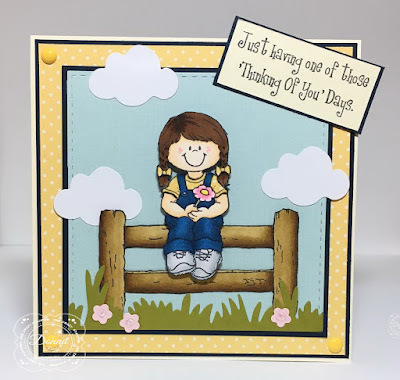 There is plenty of time of enter this month's challenge for a chance to win 2 unmounted High Hopes Rubber Stamps of your choice. New Card Kits for OCS! All card kits include the stamps shown here, with enough cut pieces, card bases and envelopes to complete four identical cards. You'll also get a full colour photo with instructions for assembly. I'll be back next week with another kit card. See you at Scrapfest in Kitchener, April 7th & 8th! The OCS design team is having an Anything Goes month! We are going to be playing with High Hopes stamps in our stash that have never seen ink - how fun is that?! It will be something new every day so stay tuned! and don't forget to play along with us in our March Challenge - Anything Goes. 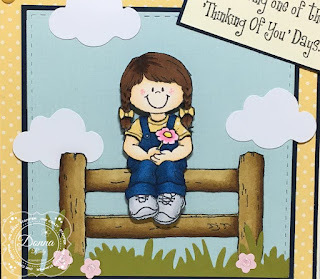 My card today features "Ally Rose, Farm Fence" and the "One of Those Days" sentiment. I coloured my stamps with alcohol markers and then fussy cut them out with my manicure scissors. Some green grass was added to "ground" my fence. Ally Rose is popped up with pop dots on a sky background with clouds. The sentiment was stamped and cut to fit. 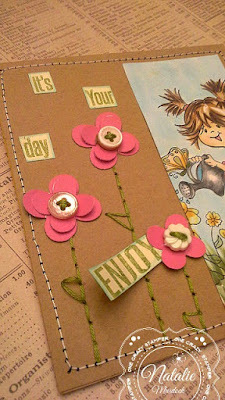 Some pink flowers with Stickles in the middle and some enamel dots finish off my card. March Challenge -- "Anything Goes"